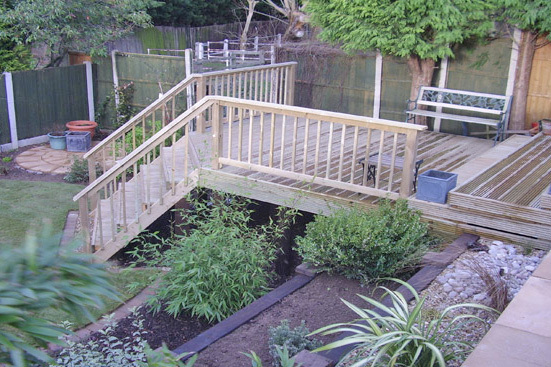 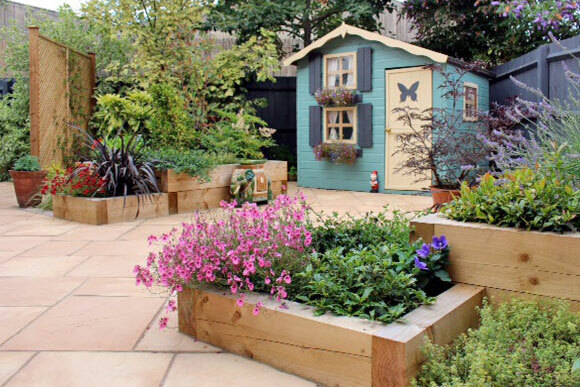 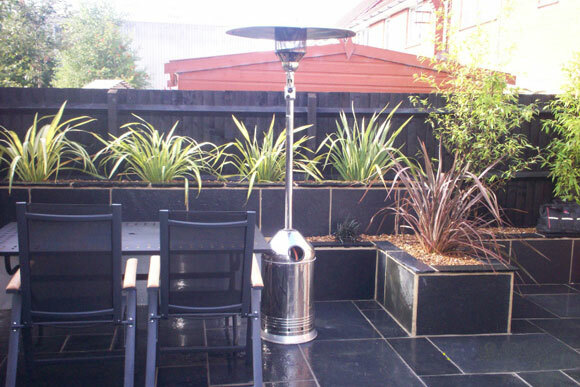 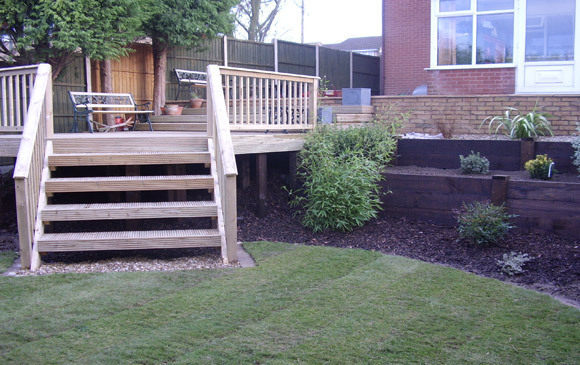 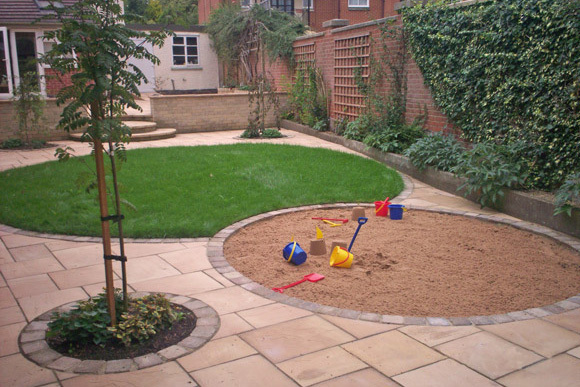 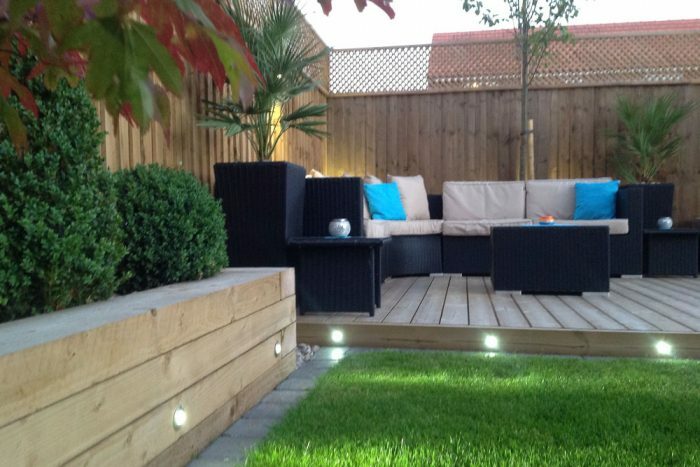 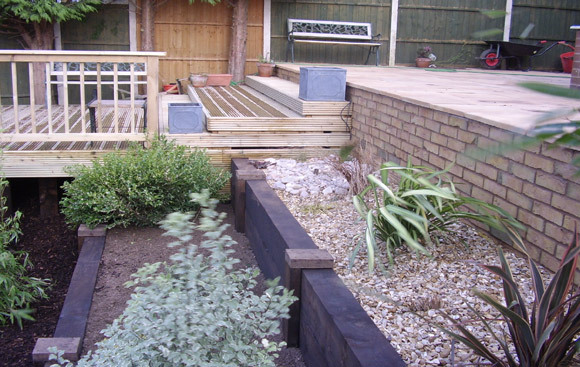 Terraced garden consisting of brick retaining wall to top terrace using Riven flagstones, with remaining levels retained using railway sleepers creating planters. 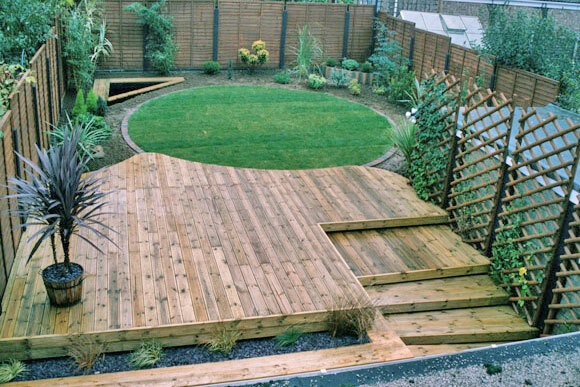 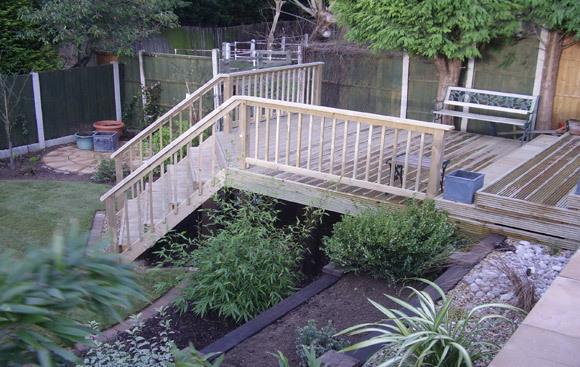 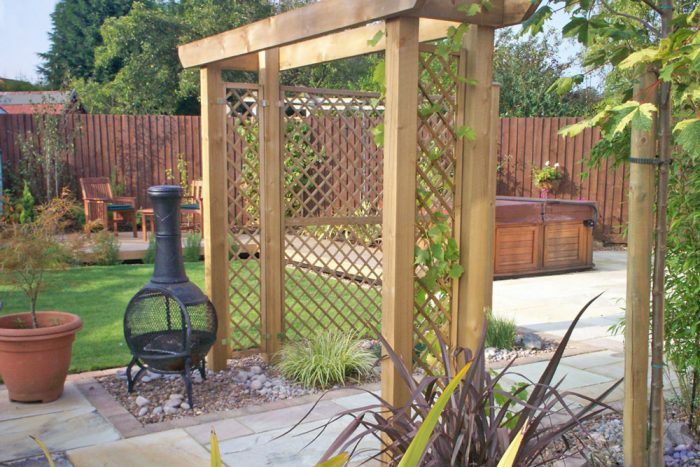 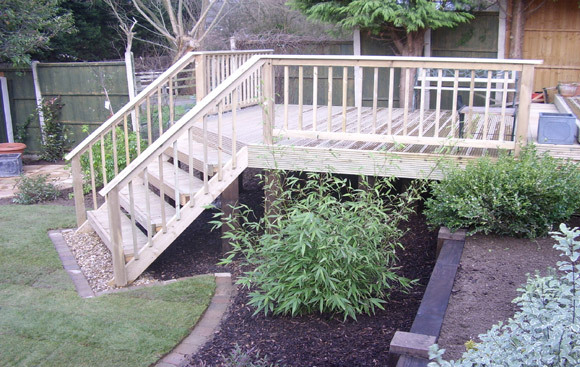 Deck terrace with balustrades and handrails and large steps to compliment down to circular lawn with small circular terrace to corner garden. 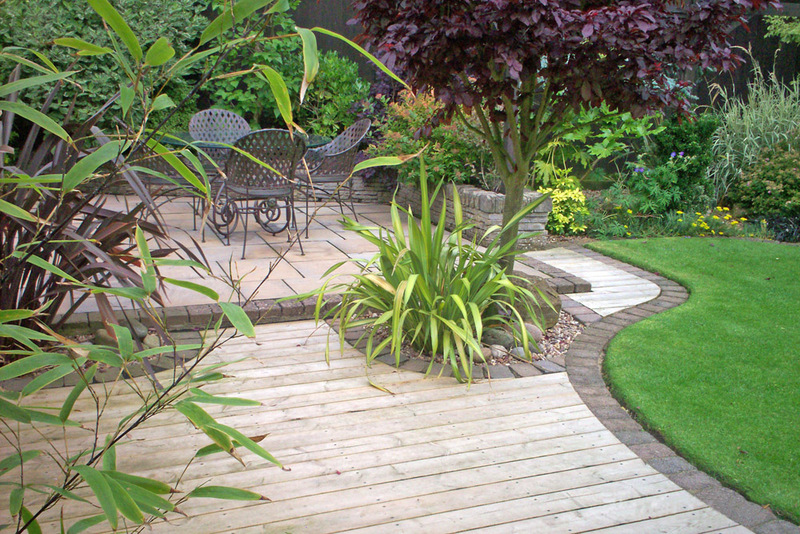 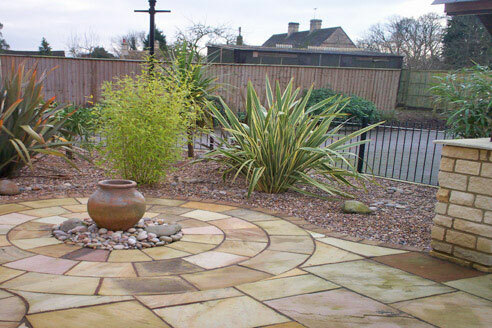 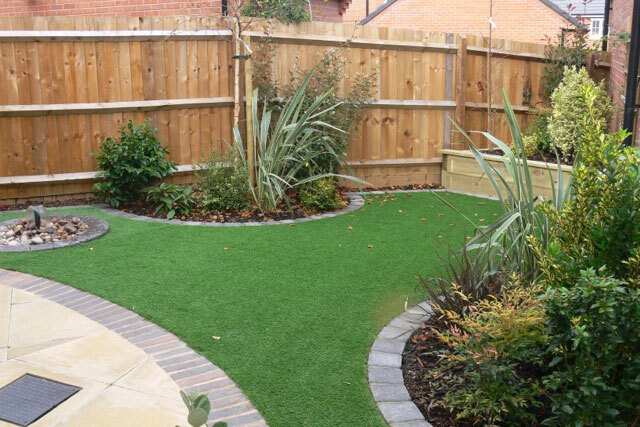 Formal planting with depth of bark mulch to borders.